There are so many tent models out there that picking one isn’t easy at all. Campers have so many options that it mostly depends on your budget. 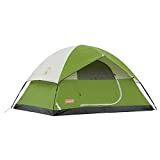 Coleman has released one of the best Sundome tents available right now: the Sundome 4 Person Tent, which can easily fit four people inside. This company was created in the 1900s and has specialized in creating extra durable outdoor equipment perfect for your camping needs. Each tent they make has to pass several tests to ensure its quality. The Sundome is one of the best-selling tents in the market, and you can take it anywhere, no matter how harsh the weather might be. So it’s raining? Ni problem, the water will stay outside your tent. Windy outside? No problem, this tent can stand winds of over 35 mph. It has a couple of large windows and a ground vent, so ventilation is not a problem when you are going to sleep on a warm summer night. Rain is not a problem thanks to the zipper cuff made of strong weather-resistant fabric to keep the elements outside. The floor is made from a waterproof material and the seams are inverted to keep you dry. 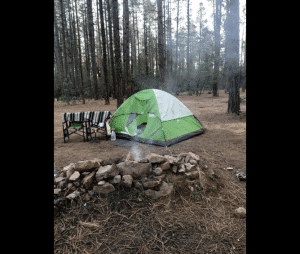 The tent is easy to assemble, lightweight and has coated polyester fabrics on the fly and walls that make them rugged and durable. It doesn’t matter if you are a first-time camper or a seasoned adventurer, this tent will be something you will never regret buying. Among some of the Sundome’s highlights, you will find a convenient E-port so you can run an extension cord through it. 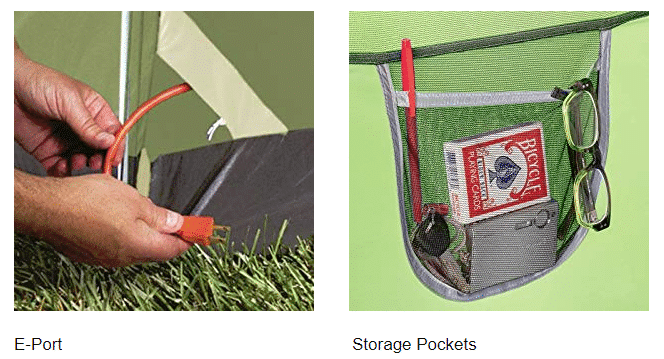 This will bring electrical power straight to your tent so you can easily power up any lights, TV or radios. On the sides, there are mesh pockets sewn to the walls so you can stash any small items like glasses, decks of cards, keeys and your cellphone. The Sundome 4-person tent measures 9×7 feet and has a 4-foot 11-inch height so you can move around comfortably.